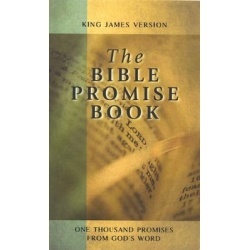 Over one thousand promises from God's word from the King James Bible arranged in alphabetical order according to subject. 70 different subjects are covered from anger and forgiveness, to pride and worry. softcover - 173 pages. Price includes standard shipping within the continental U.S. Please call for rates to other locations. By John R. Rice. 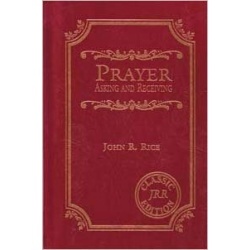 First published in 1942, this book has remained in print without interruption and has become the world's best seller on prayer other than the Bible. The book is written in warm, simple language, and yet it plows the depths of Scripture on this great theme. hardcover - 299 pages. Price includes standard shipping within the continental U.S. Please call for rates to other locations. 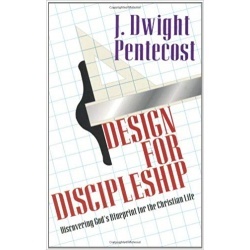 By J. Dwight Pentecost. Discipleship may be a popular term in Christian circles, but what does it really mean for the individual to follow Christ as a biblical disciple? "There is a vast difference between being saved and being a disciple, ...a relationship based on the knowledge of the person of Christ, a love for the person of Christ, submission to the person of Jesus Christ, and obedience to the commands of Jesus Christ," Dr. Pentecost observes. softcover - 126 pages. Price includes standard shipping within the continental U.S. Please call for rates to other locations.